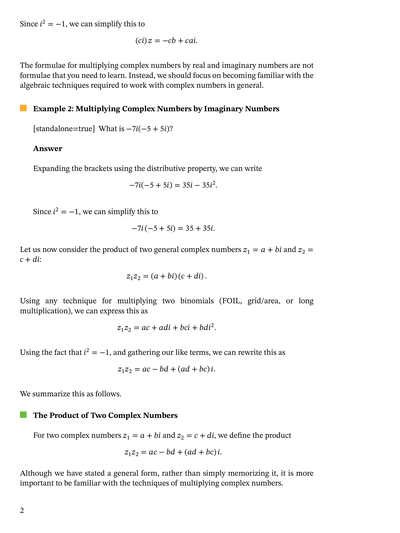 In this lesson, we will learn how to multiply two complex numbers. 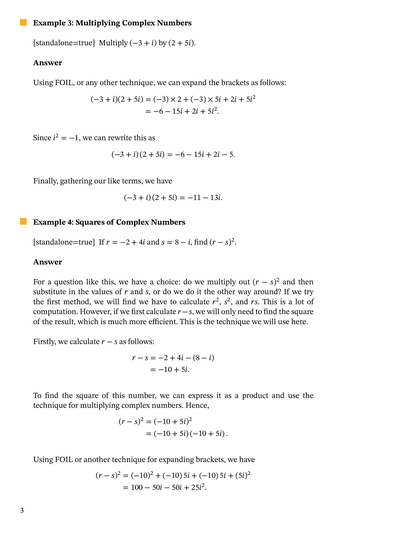 Expand and simplify ( 4 − 𝑖 ) ( 3 + 2 𝑖 ) . Multiply ( − 3 + 𝑖 ) by ( 2 + 5 𝑖 ) . What is − 7 𝑖 ( − 5 + 5 𝑖 ) ? What is ( − 9 + 5 𝑖 ) ( 3 − 𝑖 ) ? 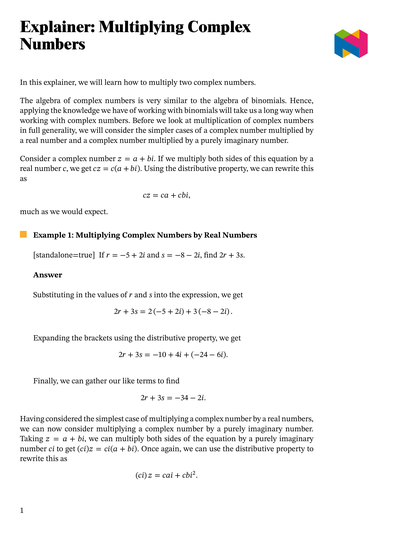 Simplify ( 7 + 6 𝑖 ) ( 2 − 9 𝑖 ) . Put 4 √ 3 + √ − 3 2 √ 3 − √ − 8 in the form 𝑎 + 𝑏 𝑖 . Given that 𝑥 = 1 0 6 + 3 𝑖 and 𝑦 = − 2 − 6 𝑖 − 3 − 3 𝑖 , is 𝑥 the complex conjugate of 𝑦 ? 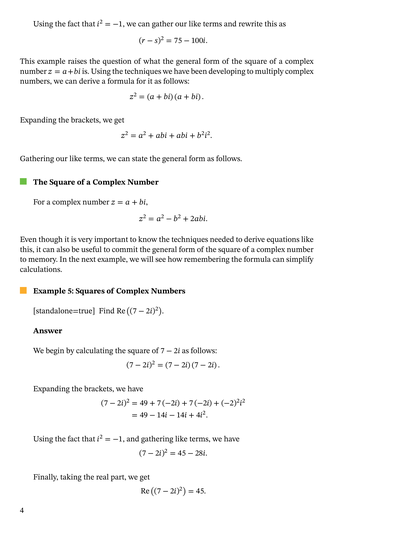 By what complex number would you multiply the numerator and denominator of the quotient 5 + 6 𝑖 3 − 2 𝑖 in order to simplify it?